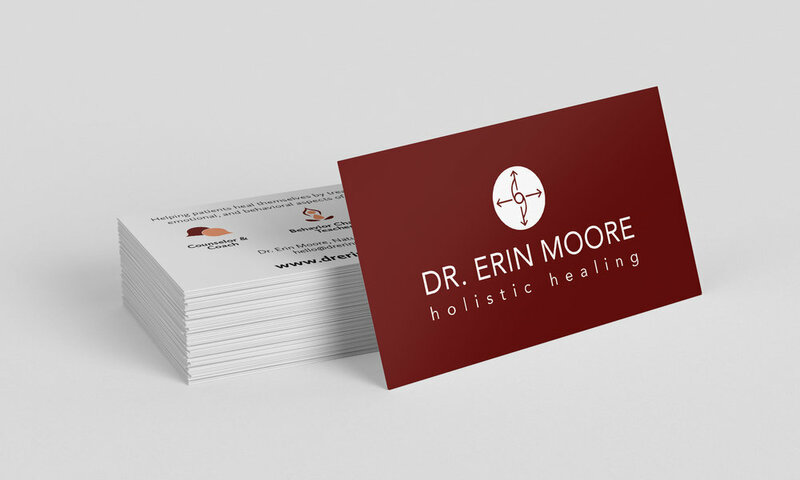 Dr. Erin Moore hired me to do branding and web design for her new private naturopathic practice. Her branded printed collateral included business cards and a flyer. 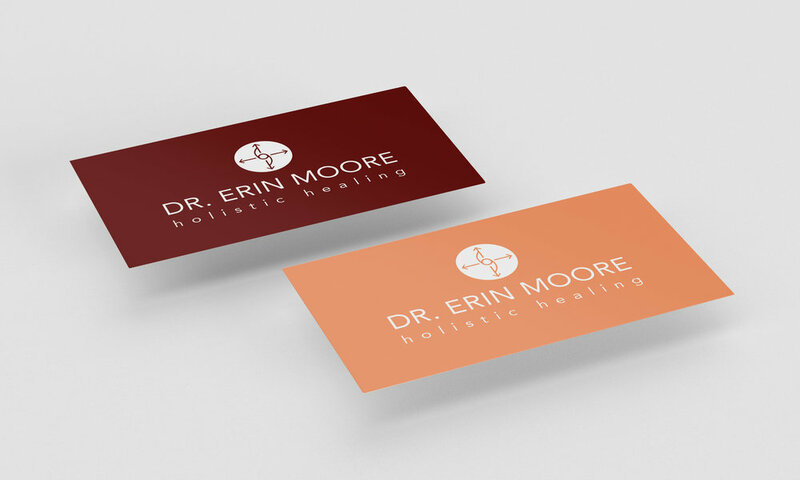 The business cards utilized the fall-inspired colors from her brand board (wine red and orange) in addition to custom icons on the back. Because the flyer was meant to advertise her behavior change course, we made it small enough to put on community boards around Portland, but large and vibrant enough to catch peoples’ attention. Again, the colors and photography used were meant to evoke feelings of fall and positive change. The printed items in real life!